The HTC Desire 626 has a dazzling 5 inch 720p HD display which is perfect for watching videos, playing games or browsing the web as well as helping to capture high resolution selfies and photos. With good brightness and decent viewing angles the Desire 626 has a resolution of 720 x 1280 giving a pixel density of 294ppi. 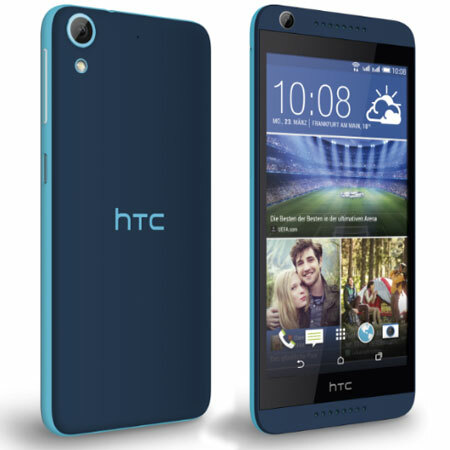 With a smooth, thin plastic unibody and soft curves, the HTC Desire 626 has a striking dual-tone design and is available in blue and grey. Power and volume buttons are located on the right edge of the device with the 3.5mm headphone jack on top. The SIM and microSD card slots are on the left with the microUSB port on the bottom of the device. 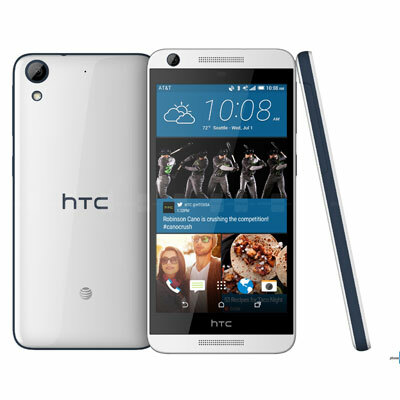 The HTC Desire 626 has a 13 megapixel main rear camera with a 5 megapixel front facing camera. The main camera features auto-focus, BSI sensor f/2.2, 28mm lens and can also shoot 1080p video. With the HTC camera app you can easily get the exact shot you need by using a grid sensor. There is also a handy timer on the bottom of the camera screen and you can easily switch between photo and video mode and from front to rear camera. The device has a Snapdragon 410 1.2GHz quad-core processor with 2GB RAM and 16GB of internal storage and supports microSDXC up to 512GB additional storage. Running the latest Android 5.1 Lollipop software with the flexible HTC Sense 7.0 overlay on top, the HTC Desire 626 features Bluetooth 4.1, Wi-Fi, Glonass and aGPS. The 2000mAh battery will provide up to 18 hours of talk time on 3G and 811 hours of standby time.